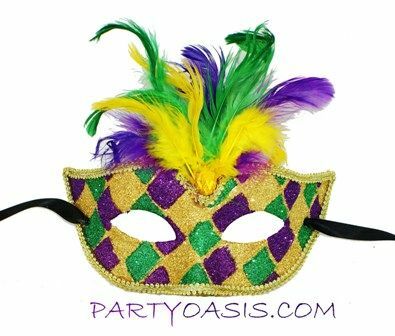 This Mardi Gras mask is made out of a lightweight paper masche and handpainted with glitter. Adorned with a plume a festive gold and green feathers. Easy to wear with black ribbon ties.